The goal: ‘Becoming Beloved Community’ now and in the future. 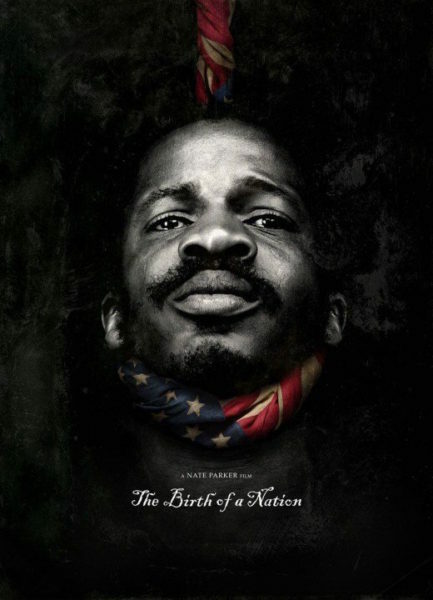 [Episcopal News Service] Brutal scenes of physical and psychological violence in the 2016 film “The Birth of a Nation” flashed across a screen set up inside a small chamber at the Episcopal Cathedral of St. John the Divine. A few viewers turned away, while some gasped and others watched steadily. The film is based on the true story of Nat Turner, a slave preacher who led a rebellion in 1831. Vivian Evans, 82, didn’t turn away. “When I was 10 years old, I interviewed friends of my grandmother’s in Mississippi who had been slaves. She had me pick cotton to see what it was like, and I pricked my fingers just like they did in the movie,” Evans, a member of Trinity St. Paul’s Episcopal Church in New Rochelle, New York, told the others during a discussion after the film. 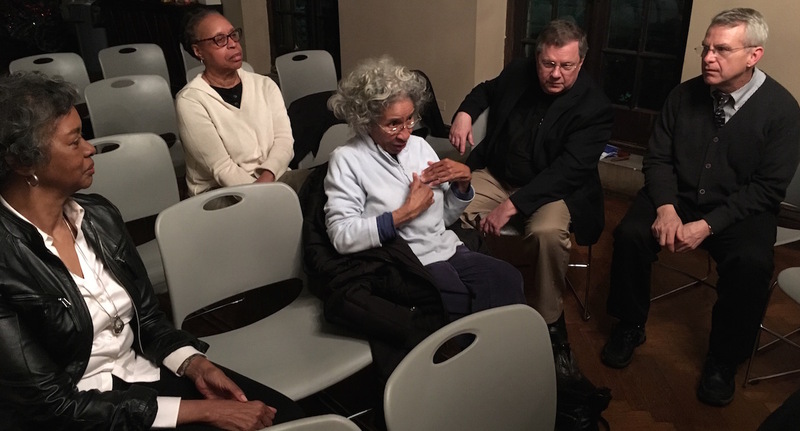 The Episcopal Diocese of New York Reparations Committee on Slavery organized the film screening and discussion as part of its Year of Lamentation to examine the diocese’s role in slavery. 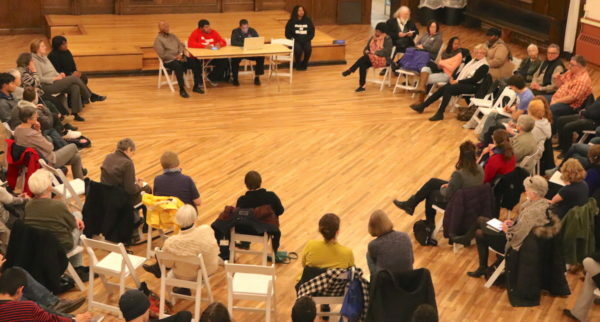 It’s one of a growing number of events across the United States as the Episcopal Church seeks racial reconciliation and healing among its congregations and wider communities. “Lamentation is actually an opportunity; it’s beginning to open our eyes to what actions are possible for us. We can’t do that until we’ve owned our beginnings more fully,” said the Rev. Richard Witt, executive director of the statewide nonprofit Rural & Migrant Ministry and member of the Episcopal diocese’s reparations committee. Although much has been done at more recent General Conventions and throughout the church, this New York committee was created 12 years ago in response to three 2006 General Convention resolutions. One resolution asked the church to study its complicity and economic benefits from the slave trade. A second resolution said to “engage the people of the Episcopal Church in storytelling about historical and present-day privilege and under-privilege as well as discernment towards restorative justice and the call to fully live into our baptismal covenant.” The last resolution called for the church to support legislation for reparations for slavery. In 2014, the New York diocese created a three-part video that examines slavery; it can be viewed on YouTube. The committee has since established a prayer blog and is asking priests to integrate these messages into their sermons. The Year of Lamentation includes a schedule of community events, from book and film discussions to walking tours, pilgrimages and forums. Organizers said they are especially proud of the theatrical presentation, “New York Lamentation,” featuring figures in the history of the diocese, from clergy to slaves and lay people, revealing how a number of churches were built by slaves. The show premiered in Staten Island Jan. 21, and continues in Poughkeepsie March 4, in Manhattan Sept. 23, and in White Plains Oct. 14. Church practices have treated African Americans as “other,” dependents in need of charity similar to those in mission fields abroad, rather than as equal citizens, according to a timeline on St. Mark’s website that identifies some of events in African Americans’ struggle for recognition in the Episcopal Church. February is Black History Month, an annual celebration of achievements by African Americans and a time for recognizing the central role of blacks in U.S. history. On Feb. 13, Episcopalians often commemorate the Rev. Absalom Jones, the first African American priest ordained in the Episcopal Church. While that history includes notable achievements, it’s mired in oppression and inhumane treatment, which are also woven throughout Episcopal history — whether or not churchgoers talk about it, Copeland said. The Rev. 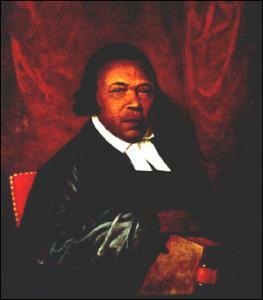 Absalom Jones, the first African American priest ordained by the Episcopal Church. But Episcopalians must talk about the horrors of the past and the inequalities of today, as well as do something to change the present and future — not just in February, or this year, but indefinitely, said the Rev. Stephanie Spellers, canon to the presiding bishop on evangelism, reconciliation and creation care. To help dioceses and congregations take on this lifelong mission, in the spring of 2017, the Episcopal Church released its “Becoming Beloved Community” vision for racial reconciliation efforts. General Convention in 2015 allotted $2 million to this work. The release followed a year of listening, consulting and reflection by Presiding Bishop Michael Curry, House of Deputies President the Rev. Gay Clark Jennings and the other officers of the House of Bishops and House of Deputies. They invited Episcopalians to study and commit to this mission. The vision is four-fold, and more like a lifelong labyrinth rather than a chronological to-do list. The first part, however, must be done before the others are possible, Spellers and other racial healing activists say. Telling the truth: Who are we? What things have we done and left undone regarding racial justice and healing? Churchwide initiatives include a census of the church and an audit of racial justice in Episcopal structures and systems. Proclaiming the dream: How can we publicly acknowledge things done and left undone? What does Beloved Community look like in this place? What behaviors and commitments will foster reconciliation, justice and healing? Initiatives include holding regional, public sacred listening and learning engagements, launching a story-sharing campaign and allocating the budget for lifelong formation of transformation. Repairing the breach: What institutions and systems are broken? How will we participate in repair, restoration and healing of people, institutions and systems? Initiatives focus on justice reform, re-entry collaboratives with formerly incarcerated people returning to community and partnership with Episcopal historically black colleges and universities. Practicing the way: How will we grow as reconcilers, healers and justice-bearers? How will we actively grow relationship across dividing walls and seek Christ in the other? This also involves the Becoming Beloved Community story-sharing campaign, as well as reconciliation and justice pilgrimages; multilingual formation and training; and liturgical resources for healing, reconciliation and justice. In the past year, leaders nationwide have made a great start, Spellers said. “While I’m proud of what they’re doing here in New York, this diocese is by no means the first to grab this and run,” Spellers said. Washington National Cathedral was one of the first to sign on, doing conversations on the church’s legacy of slavery, including their windows, which depicted the Confederate flag and Civil War. Cathedral leaders continue to host public programs, which are live-streamed for the rest of the Episcopal Church to participate. The Episcopal Church is a co-sponsor of this, which is a strong example of the second part of the labyrinth, Spellers said. Based in Seattle, Washington, Heidi Kim, staff officer for racial reconciliation for the Episcopal Church, recently talked with Episcopalians in Massachusetts, where they’re doing an audit of the ordination process, studying the people who’ve dropped out, and looking at patterns of exclusion that people of color, women and LGBTQ might be experiencing. Kim has visited Southern dioceses with historically black and historically white parishes in small towns where they can no longer afford to operate as separate congregations and need to merge. Often, separate parishes exist because the black church members weren’t allowed to go to the white church. The black churches are smaller and in need of more repairs compared to the white churches, she said. They need to engage in story-sharing and discuss what to celebrate and what they will lose when they merge, she said. The Episcopal Church has partnered with the Diocese of Atlanta’s Beloved Community Commission on Dismantling Racism, putting $50,000 into the efforts, said author and activist Catherine Meeks, the commission’s chairwoman. Meeks is also founding executive director of the Absalom Jones Center for Racial Healing, which opened in October in Atlanta for the benefit of not just Georgia, but the wider church. As part of this effort, the diocese organized a Province IV conversation, which drew representatives of 20 dioceses, as a pilot for a wider conversation scheduled for Feb. 28-March 1, drawing representatives from at least 28 dioceses, from Minnesota to Missouri. It’s for Episcopalians involved in racial healing work to share what they’re doing and how they want the center to be involved in what they do going forward. Meeks is trying to create a better communications system so that people don’t feel alone in their work. But this work isn’t just for church leaders, Meeks emphasizes. Nor is it only for churches with diverse congregations. “People in predominately white congregations think there is nothing they can do because there aren’t any other kinds of people there, but connect with someone you don’t normally talk to. Try to build a bridge with anyone you see as ‘other’ in any way, like politically or economically,” Meeks told Episcopal News Service. People have to find what resonates with them, she said, encouraging Episcopalians to start book studies or something as simple as inviting someone unfamiliar out for coffee. “You do have to do something. You don’t get to just sit around and think about it for the rest of your life,” Meeks said. Letting a person of color, or anyone who feels oppressed, share her or his experience, without interrupting, judging, correcting or editing it, is key, Meeks said. Reforming the criminal justice system and helping previously incarcerated people re-enter the community were the focus of a fall conference organized by Province VIII, which includes Arizona, Nevada, Utah, Navajoland, California, Idaho and the Pacific Northwest. The United Thank Offering ministry identified Becoming Beloved Community as its 2018 grant theme, asking grant applicants to show how they would put the vision into action. “That’s going to spark all kinds of engagement, because once you have the money, you can take your idea and execute it,” Spellers said. Bishops from the Diocese of Indianapolis, Diocese of Northern Indiana and the Lutheran Indiana-Kentucky Synod meet regularly to plan how to engage in the Becoming Beloved Community vision, releasing a video to encourage story-sharing. The diocese received a Mission Enterprise Zone grant of $75,000 for the center and its work. There will be community discussions on equity gaps in education; pilgrimages following the underground railroad; an urban retreat with meditation; Freedom School curriculum, founded during the 1960s Civil Rights era to empower black Americans; a summit for women and girls of color; and a summer tour to prepare young black students for college. “We want this to be about empowering people to be nonviolent agents for change in the world,” Wagner said. This churchwide effort is by no means a straight, clear path, leaders say. That’s why Becoming Beloved Community is a labyrinth, Wagner said. Since re-locating to Lowell, Ma in 2013 I have become very aware of the reality that we have been deeply involved in the support of slavery and have received great benefit from the same. assure the folks back home. Only later did the building pass into the control of the Dio. of Ma. The Rectory , built @ the same time, was held by the corporation for a longer time and when there was a dispute (company vs. the rector) the latter was denied use of the house. beholding to all those who endured the heat of the day and the sting of the lash. We had a presentation at Trinity Episcopal Church, St. Charles, MO by a descendant of Dred Scott. She told us that Dred Scott and Nat Turner knew each other and both desired freedom for their race. Dred Scott decided to try to use the law to get his freedom (which he did eventually achieve with the help of many other people). She also said that she gave a presentation at Sumner High School in St. Louis, once a segregated high school. This school was named after the white attorney and congressman Charles Sumner who had aided Dred Scott and others in getting their freedom. Sumner was also an abolitionist as was William Greenleaf Eliot, founder and first Chancellor of Washington University in St. Louis. Eliot was a wealthy man and he bought slaves and then freed them. She was surprised that nobody at the high school seemed to know anything about these two men, especially Sumner after whom their school was named. Should we not be looking at racism and inequality in today’s society, such as educational opportunities, a living wage, community policing and so on, rather than just reliving past cruelties and injustices. Five of my family died fighting in the Union Army to end slavery. If the Episcopalian leaders want to relive that era with the attendant guilt tripping they can give the hair shirt being offered to me as atonement to someone who can’t live without it. I would respectfully submit that issues facing the Church that threaten its future should receive more attention. Thanks for this excellent coverage of the work of the Diocese of New York and other dioceses that are on the journey of “Becoming Beloved Community.” The Anti Racism Commission of the Diocese of Chicago has prepared a “Facilitator version of the Pathway to Reconciliation Study Guide of a Call to Faithfulness : an invitation to a Committed Journey. 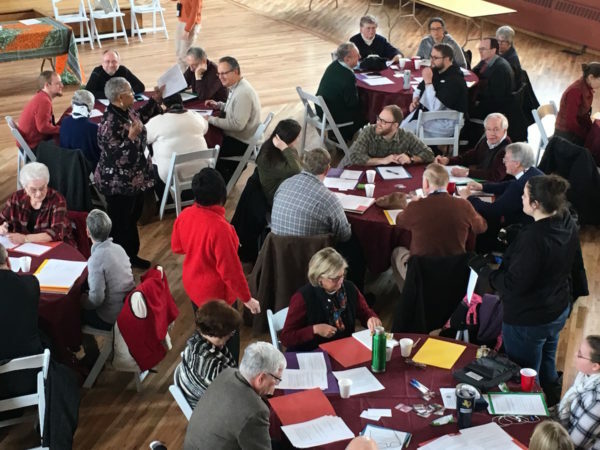 Final Report of the Task Force on the Legacy of Slavery.” The first of a number of facilitator trainings on February 17, 2018 was attended by representatives from twelve congregations. Each of the 126 congregations of the Diocese is being invited to enter into this period of truth telling. It’s interesting that Nat Turner’s insurrection is being termed in this article as a slave “rebellion”. That carries visions of a struggle to preserve the natural God-ordained state of humanity, which is freedom; freedom that will work to resist oppression. Notwithstanding, if the Beloved Community’s values include truth telling then let us not neglect to state that Nat Turner’s Rebellion in Virginia in August 1831 was planned to be wanton and reckless and included the murder of many innocents including children and infants in their cradles. Turner later described his own master as trusting and kind, but the “work of death” — as he called it — required that every slave owner – including his own and his whole family – be murdered. It is estimated that over 60 people were killed including ten children under the age of 5. Turner’s rebels even attacked a school. Afterwards there were reprisals by whites where many African Americans, innocent as well as those taking part in the violence, were killed. History is never as clean and clear as hoped for. No person, group or race should be valorized without honesty intact. Human relations are far more complex than grouping people. In the case of the Turner Rebellion, many of the wronged and oppressed became oppressors themselves. Any slim virtue attributable to the uprising ceased when the violence included killing a baby and throwing its remains into the fireplace. Truth telling is very difficult and sometimes painful work. This is a wonderful effort on the part of the Episcopal Church & makes me proud to call myself an Episcopalian! In Tucson, Arizona at St. Michael’s Church, we formed a book club over a year ago to study issues that have built & run this country: the genocide of 40-100 million Native Americans; slavery & Jim Crow; the plight of Latinos who lived in this country long before the US was formed & continually face racial discrimination; climate change & immigration north; white supremacy & classism. We are understanding our flawed past, looking at how we have learned a US narrative that excludes all but white men & are working towards building bridges to respect, recognition, relationship & reconciliation. Most in this group are Anglo Americans: we are not stuck in guilt, we are interested in honoring God’s multiplicity of creation & moving forward with love. By really looking at the truth of our sinful past we can grow, heal & reach out to all brothers & sisters in our shared humanity. We stand with you in this very important movement of the Episcopal Church! I do hope that we really examine the complicity of all of those who participated in or ignored the inhumanity of “Slavery, Segregation and all forms of discrimination. I know that was quite a negative response from many whether they were black or white regarding Nat Turner’s story but when you realize that slavery was a living hades for people forcibly brought to a country colonized by people who came to here to escape religious and other types of persecution and discrimination, how can you not want to finally engage in a meaningful national Episcopal dialog regarding “Race and Reconciliation? Leave negative attitudes on both sides out of our discussions and be positive prayerful participants in this movement within our church. Perhaps as a Caucasian male, whose ancestors owned NO SLAVES, but were poor farmers who lived in tents and caves after their meager was burned down by Union Army forces, I should just commit suicide for actions that neither my ancestors nor I participated in! Since The United States was not founded as a nation until 1776, does England bear the responsibility in transporting slaves prior to that year. Their ownership of the colonies, their ships, their investments. It seems to me,that England, not our country is the proper respondent for any claim of reparations. Ronald, reparations opportunists had better be careful about what they are demanding from whom for their own non-involvement in life nearly 200 years ago. If reparations are demanded then let’s start with those who trafficked in slaves on the continent of Africa and saw to it that a plentiful supply of captured Africans would be available for sale. Those responsible? Africans. Slavery existed among Africans before the Europeans became involved. The first slave owner in America was an African indentured servant who earned freedom for himself, but denied it for a fellow African and won a court case to keep him as a permanent slave. An African named Anthony Johnson arrived in Virginia in 1619 and by 1623, had worked out his period of indenture and had obtained his freedom. Johnson, over the years, worked his way up to be a successful tobacco planter and, in turn, employed five Africans as indentured servants, one being John Casor. Once Casor had completed his term of seven years, he requested his freedom, a request that Johnson turned down. Against his better judgement, Johnson was persuaded by his family to allow Casor to work for a white colonist nearby called Robert Parker. On March 8, 1655, the Court found in Johnson’s favor, and demanded that Parker return Casor to his original owner and pay damages. Now, who owes whom? No one. Those involved in the misery of slavery have been dead for generations. Anyone today who may claim any long-dead enslaved ancestor has far surpassed those poor people by leaps and bounds with opportunities and possibilities designed and paid for by the entire nation. Opportunists keep this faux reparations guilt trip going and it needs to be called out.